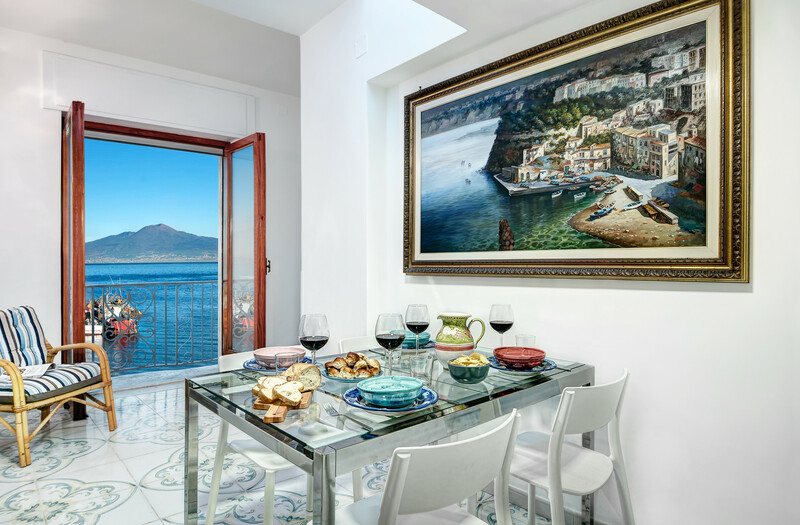 Overlooking the Bay of Naples, in the heart of Sorrento’s fishing harbour, sits this stylish, comfortable apartment. Sleeps 4. Treat yourself to a break in Sorrento and enjoy the sun, sea, views and the fantastic food this gorgeous area has to offer. 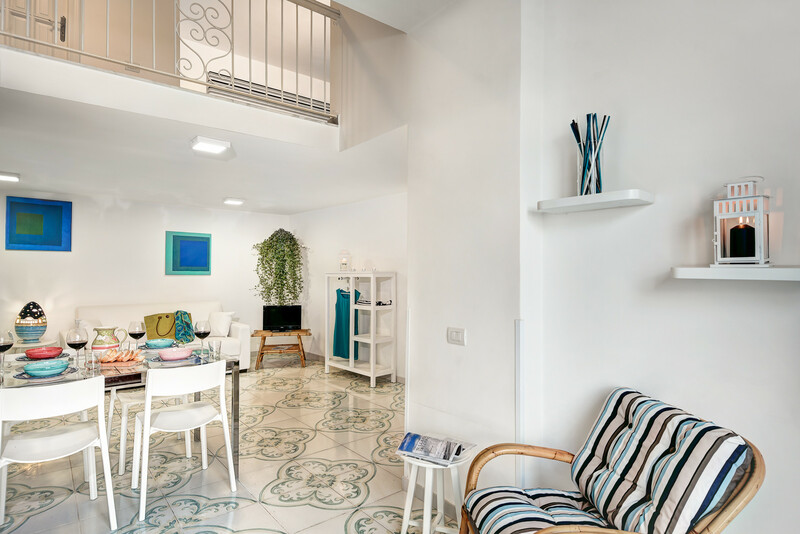 The apartment is located on the famous and delightful Marina Grande di Sorrento, just 10 metres from the sandy beach and the water. Access is via a flight of about 20 steps. 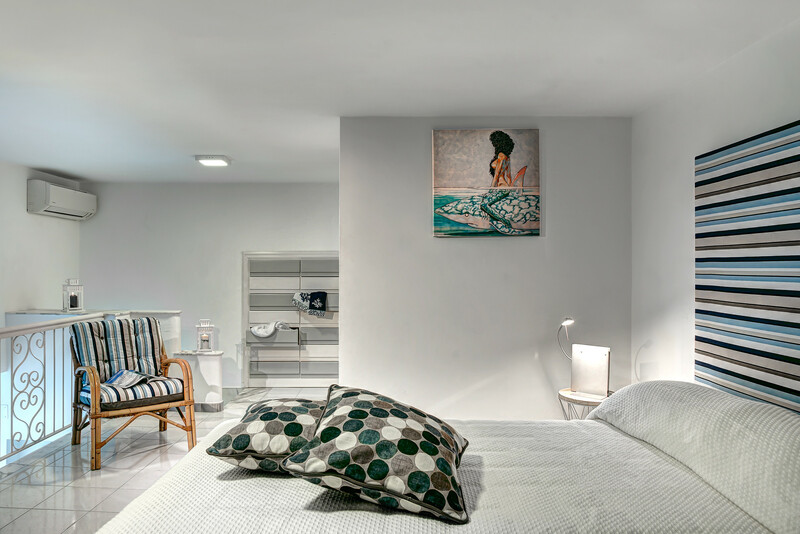 Marina Grande sleeps up to 4 people, in a huge double bed and on a comfortable double sofa bed in the living room. Ideal for a family or two couples, there is space to park (subject to a charge and to availability) and local bus services are just a stone’s throw away. 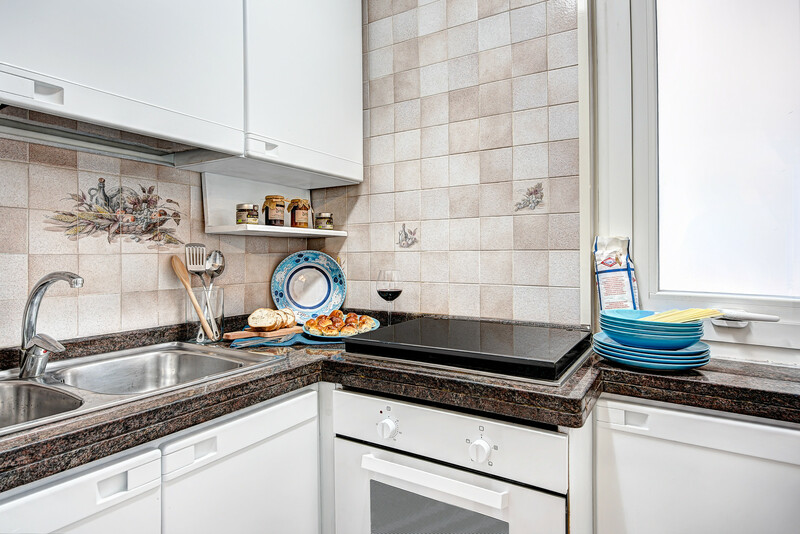 The well-equipped kitchen has an electric oven, hob, kettle and toaster. The kitchen opens onto a large living space with a sofa bed, flat-screen TV, generous dining table and plenty of room to relax. Doors from the living area open out onto a magnificent balcony with breathtaking views over the azure bay to the island of Capri. Sit out in the evening, enjoy an Aperol Spritz and take in the twinkling coastal lights, the bobbing fishing boats and the gentle bustle of the harbour. On this lower floor is a handy cloakroom; a few steps up from the living room take you to the mezzanine bedroom and bathroom. The large, airy mezzanine bedroom is up some stairs and overlooks the living room. 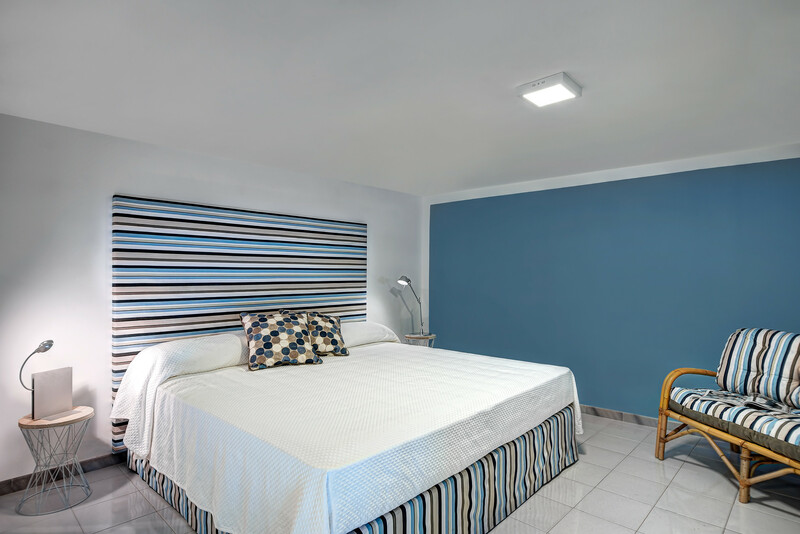 It is stylishly furnished and decorated and boasts a king-sized bed, ample wardrobe space and a place to sit and relax. 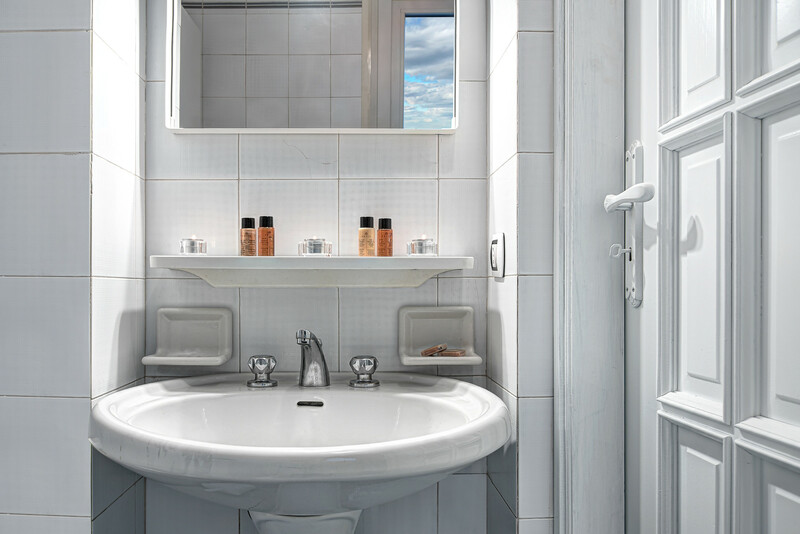 The clean, tiled bathroom has a shower and bidet and is accessed off the bedroom. The centre of Sorrento is a 15-minute uphill stroll, or a bus can be caught nearby. Its narrow, pretty, cobbled alleyways are overhung with fragrant flowers and palm trees. Head for the famous Piazzo Tasso, enjoy a coffee or gelato and watch the world go by. 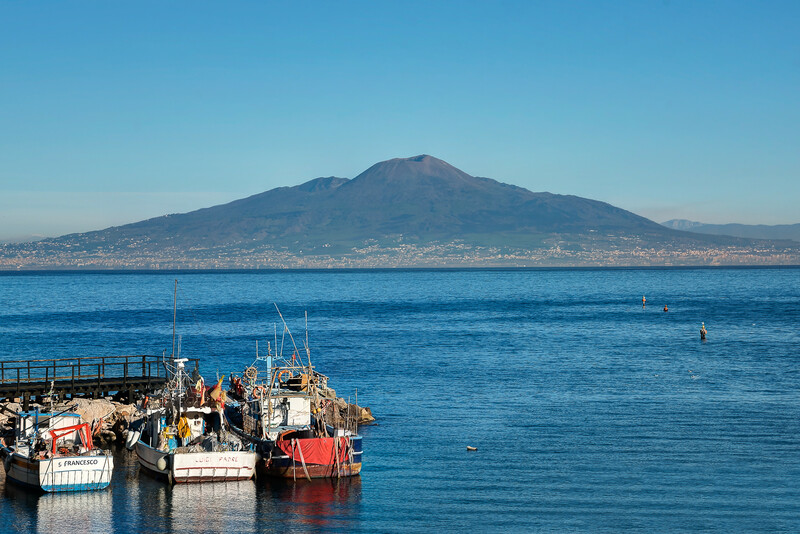 When you can tear yourself away, Sorrento has many other gorgeous attractions and this lovely town is also a great base for exploring the Amalfi Coast, Pompeii and Herculaneum, and its excellent transport links mean you don’t need a car. 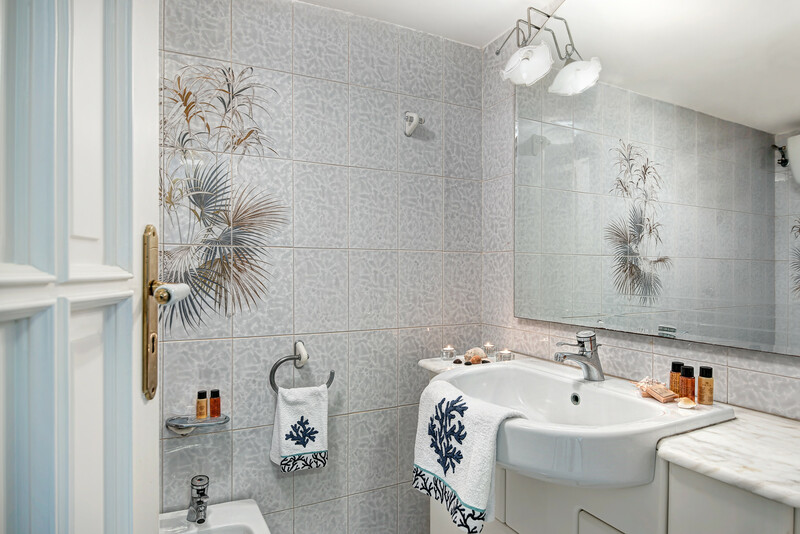 The Marina Grande apartment is perfect for exploring beautiful Sorrento or just for enjoying a few days in the gorgeous harbour. 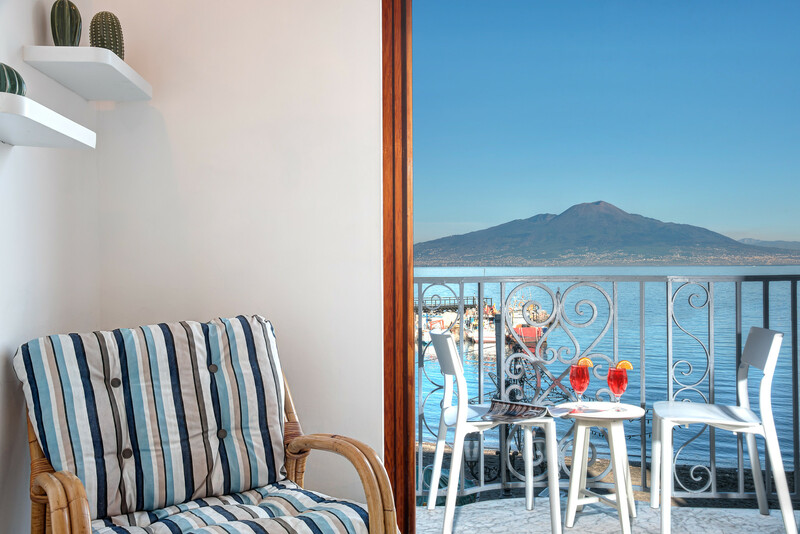 Please note that from 1st April to 30 October, the Municipality of Sorrento applies a mandatory tax to temporary residents of €3.00 Euros per adult, per night which must be paid in cash on arrival. internet (Wi-Fi), balcony, 45 m² property, single boiler on gas, air-conditioned. The apartment is beautiful, clean, the beds very comfortable, and the view is unbeatable. Our stay was perfect, honestly did not feel like leaving. I recommend it without a doubt (Maria, Argentina - reviewed on airbnb).